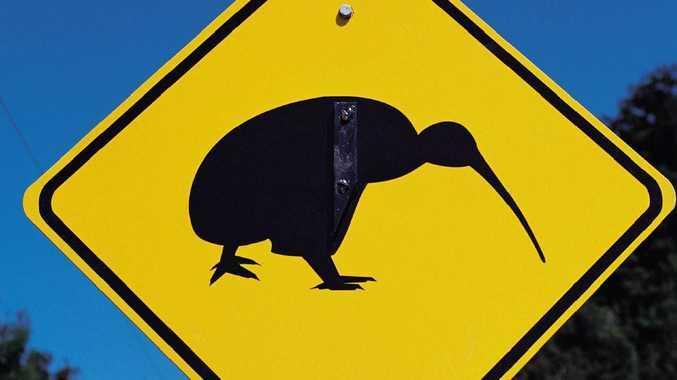 A road sign cautions drivers to be alert for the kiwi, a flightless native bird. THEIR national emblem may be a flightless bird but residents from the Long White Cloud are looking to spread their wings to the Sunshine State. New data shows that New Zealand was the source of the highest number of overseas property searches in Queensland in the 12 months to July last year. Brisbane City (13,951) was the most searched suburb by the Kiwis, followed by Broadbeach with 9898, according the realestate.com.au data. Searches from the UK accounted for 443,763, while the US had 294,077. REA Group chief economist Nerida Conisbee said overseas buyers often clicked through Brisbane properties before widening their search. "However we know there has been a big lift in Asian buyers in particular looking the Brisbane CBD," she said. "That may be because of all the new developments or could be because overseas buyers who may have looked at Sydney are also seeing the bang they can get for their buck in Brisbane instead." Ms Conisbee said European, American and Canadian buyers were often drawn to Queensland's iconic beach and lifestyle locations whereas Asian buyers tended to focus on properties in areas with quality education facilities and cultural precincts. She said word-of-mouth was a big factor. American Matt MacGregor, a chiropractor, and his Norwegian wife, Mirjam, moved from Norway to Wollongong in NSW before finding their forever home at Aspley on Brisbane's northside. 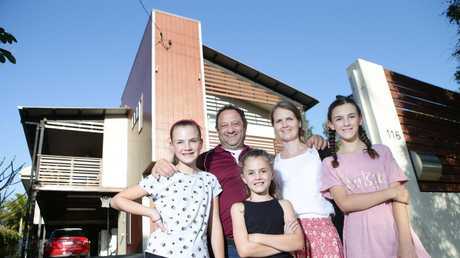 The family, which includes three girls and two dogs, bought a five bedroom home three months ago, making the move for work and lifestyle. 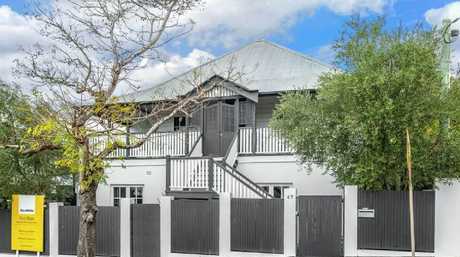 "The weather is great, the people are more laid-back, the housing is more affordable," Mr MacGregor said. 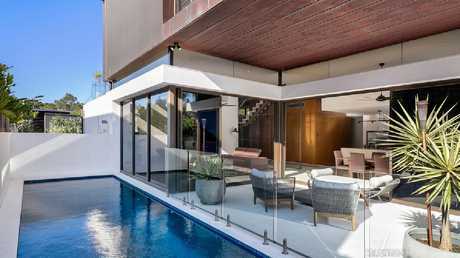 "The kids love having a big backyard, we feel more relaxed. We see us staying forever." People based in the United Kingdom (443,763) accounted for the second highest number of searches of the Queensland property market, followed by the US with 294,077. In the Asian market, those based in Hong Kong (4th) led the property search, followed by the Philippines (5th), Singapore (7th), China (8th) and Japan (9th). Canada and South Africa rounded out the top 10, coming in 6th and 10th place respectively. Realestate.com.au also revealed the top 10 suburbs being searched by foreign buyers - Brisbane, Surfers Paradise, Noosa Heads, Broadbeach, Mooloolaba, Burleigh Heads, Southport, North Lakes, Caloundra and Hope Island. New Zealand, the UK and the US were the top three markets for each suburb, but from there the results got interesting with some additional countries outside of the top 10 emerging. 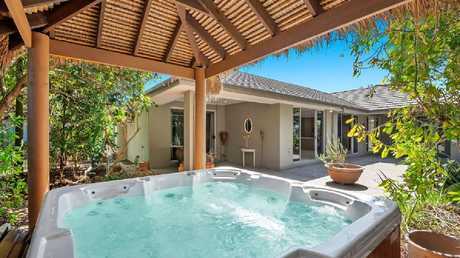 Search results from the United Arab Emirates show people there - most likely expats - are looking to make the move to Broadbeach, Mooloolaba, Burleigh Heads, North Lakes, Caloundra or Hope Island. Property seekers based in Papua New Guinea and Taiwan are alse eyeing of real estate at North Lakes. Thailand-based house hunters have their sights set on Broadbeach, Malaysia and Taiwan-based searchers are looking to Southport and those based in France are keen to ditch the City of Lights for a relaxed beach lifestyle at Noosa Heads and Caloundra, according to the data. People logging in from Germany - where the average winter daytime temperature in the capital, Berlin, is just 3C - were also drawn Brisbane and the beach. Universal Buyers Agents director Darren Piper said the number of overseas enquiries had slowed due to changes to the foreign investment laws. But he said expats who were nearing retirement were keen to make the move back to Queensland. "That's their end goal," he said.